My earliest memories of the martial arts were as a five-year-old boy back in 1967. My father and a group of fellow martial artists trained in the basement below our apartment flat in San Francisco. I remember the ceiling being so low that when they trained, they frequently bumped their heads on the beams that supported it. Jump kicks were always executed at your own risk. The training area was so small and cramped, toe-to-toe sparring with no safety equipment was considered the norm. I would watch with excitement as they practiced, mimicking their every move. The energy in this space was alive and my heart raced with every kick, punch and block delivered. I wanted to train so badly but I was considered too young so I wasn’t allowed. Besides, they didn’t make uniforms small enough to fit me. So I was relinquished to a corner and left to my own devices. The only condition to me being present was that I had to be quiet and not disturb the class in any way. The smell of discipline and the sweat of tradition filled every corner of the tiny basement. The barred windows offered little ventilation but everybody managed to strategically pass them during class in order to catch . Bloody noses, jammed fingers, and cracked ribs were a weekly occurrence. I never questioned why they did what they did because, at the end of the class, the mutual respect and spirit of martial arts community seemed to make every injury worth it. They always displayed a confidence that made me hunger to train even more. I couldn’t wait until the day they deemed me old enough and allowed me into the fold. Until that time, I stood in my corner every night just to be a part of the spirit that is the martial arts. Fast-forward to today, I’m just as much in love with the martial arts as when I was as a child. For me, it’s this love and the core values that the martial arts represent that are the foundation of my school and business. Times have changed and so have my practices to accommodate the needs, growth, and vision of my business in order for it to be viable and successful. But the one thing that will never change is the core values I first learned from the martial artists in that basement. They have served my father’s school through 41 years of success at the same location. These values are the constant that maintains the integrity and quality of my school. I share this with you because I believe this is the foundation of being successful in any business, especially a martial arts school. In Jim Collins best-selling book, Good to Great, his research demonstrates that the one common factor of most successful Fortune 500 companies worldwide is that they never stray from the core values that shaped their companies. They have stood the test of time and continue to guide many of them today. So I ask you, what are the cores values of your martial arts school and business? Define them clearly; making sure they are the one constant in an ever-changing playing field. These core values will be the shelter to weather any storm the economy or industry offers you. They’ll guide you in making the best choices for your school and business. 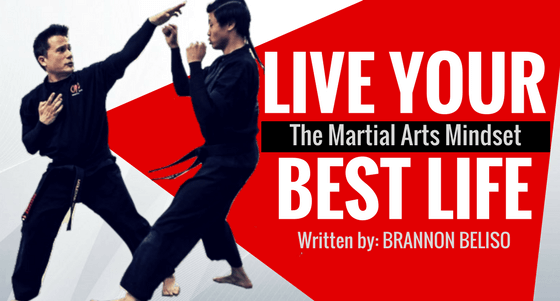 They’ve been the foundation of the martial arts for thousands of years and will provide you with the tools to be viable, sustainable and thrive.